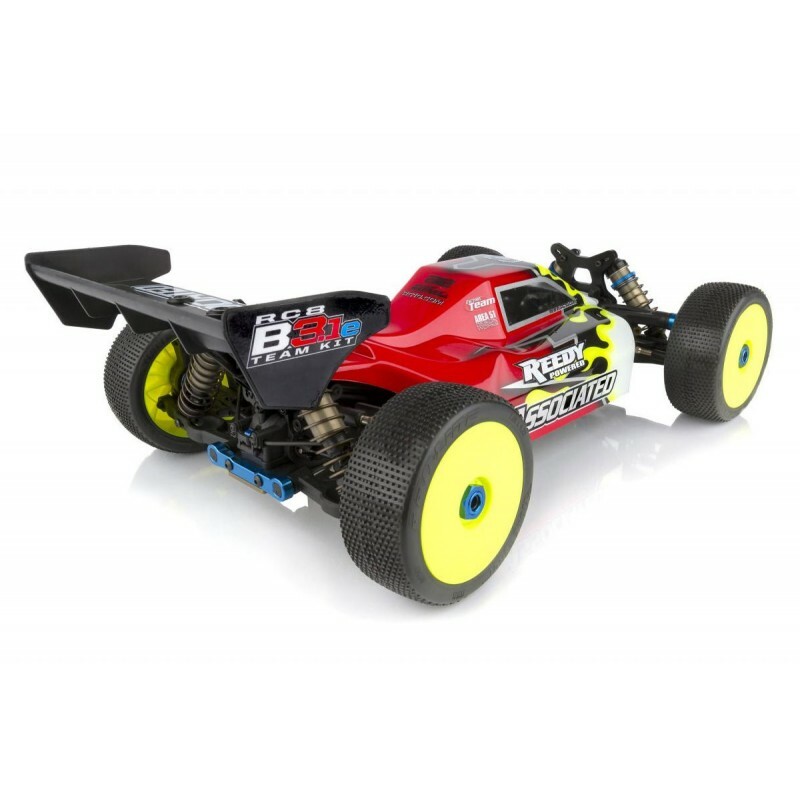 Team Associated ha extraido del buggy RC8B3.1 nitro toda la ingeniaría de rendimiento y usado la información para crear el nuevo buggy electrico RC8B3.1e Team Kit! 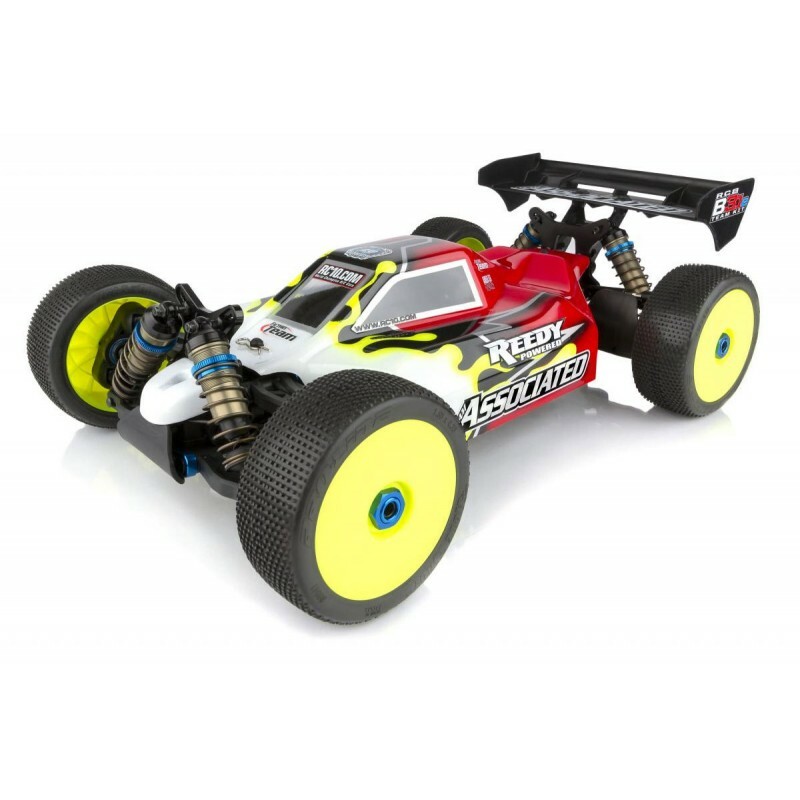 - H.T.C. 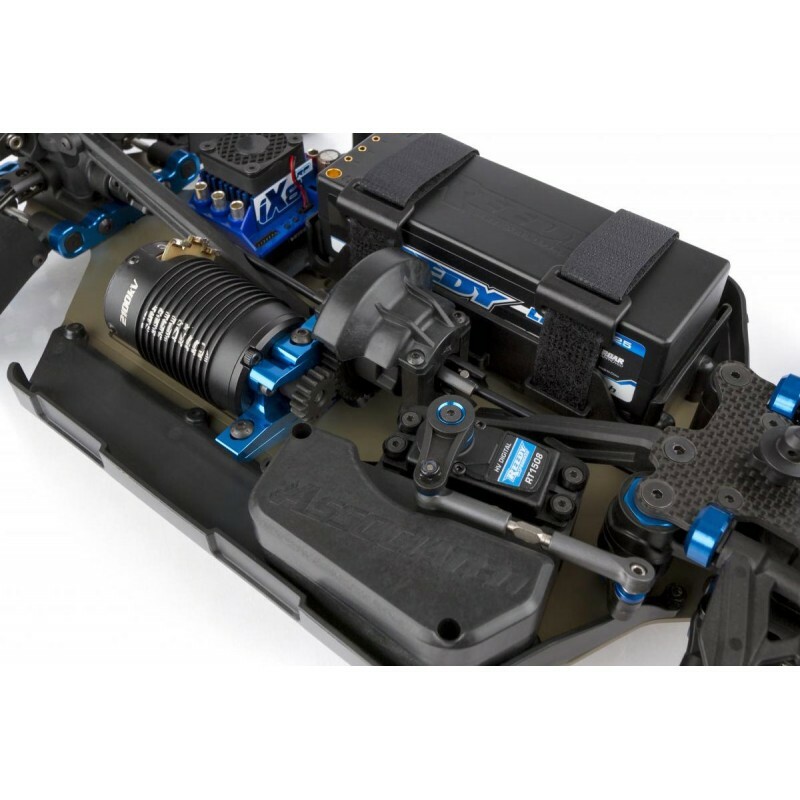 (High Torque Capacity) differentials offer increased fluid capacity and a more consistent feel lap after lap. 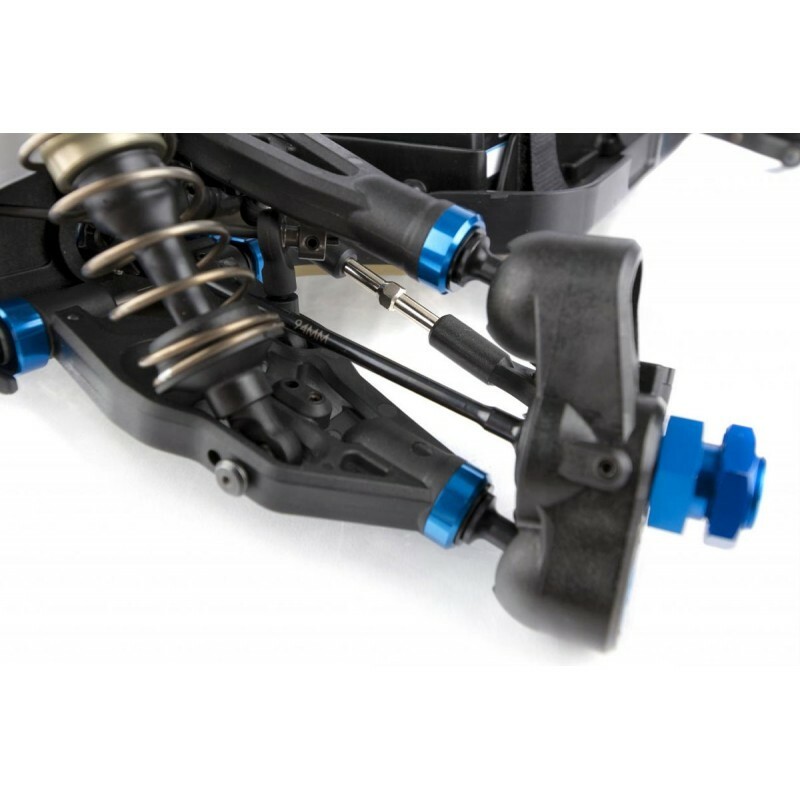 - 94mm CVA driveshafts increase traction and chassis support. 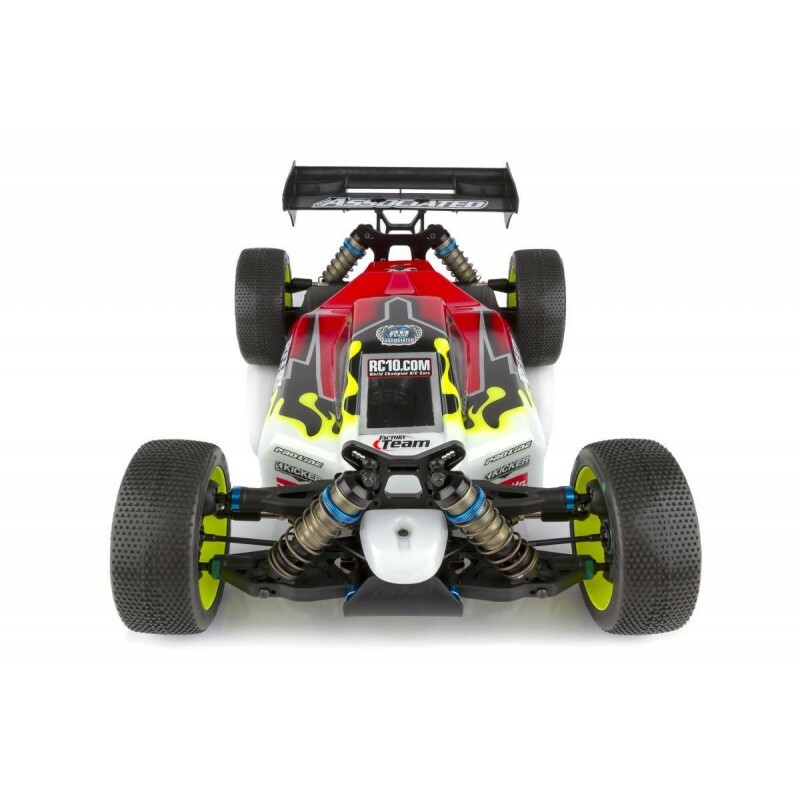 - Suspension arms have been updated to modern race specs. 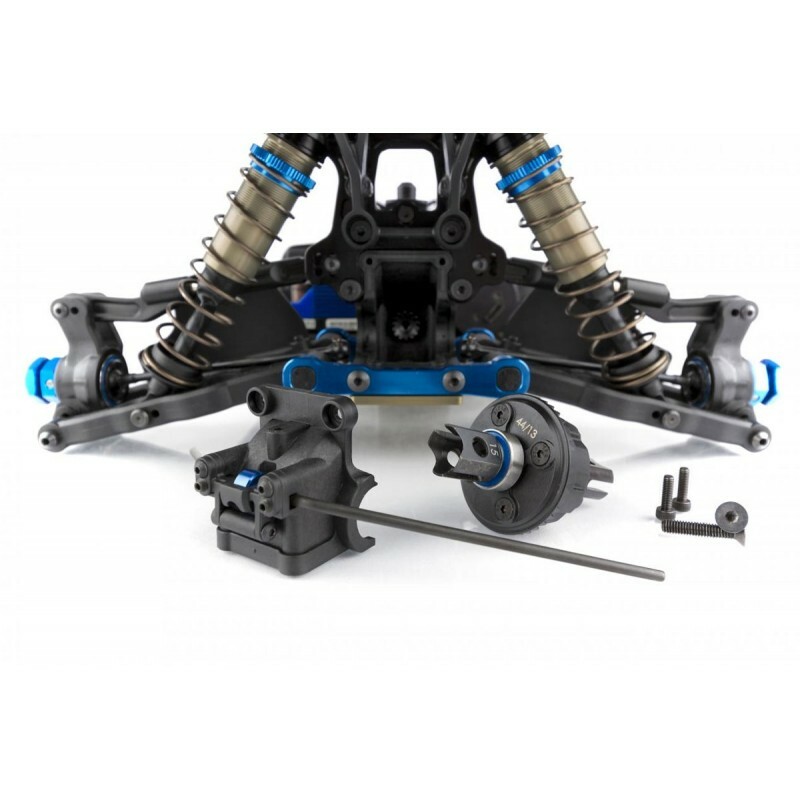 - Anti-roll linkage curves have been altered to provide more chassis support throughout the suspension travel. 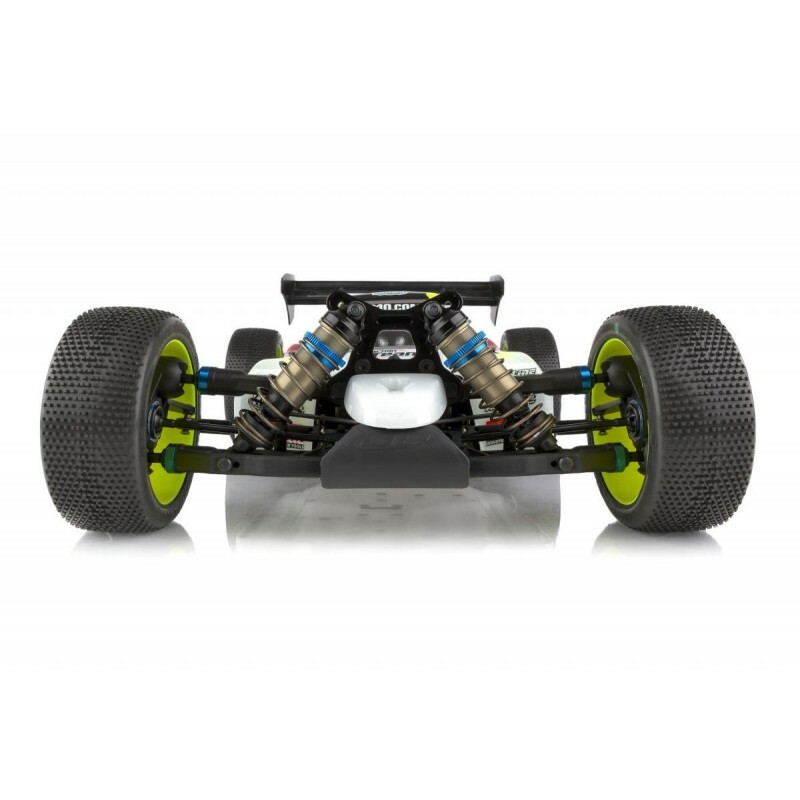 - All suspension arm pivots have been revised for more ground clearance, resulting in better jumping and landing while also improving durability. 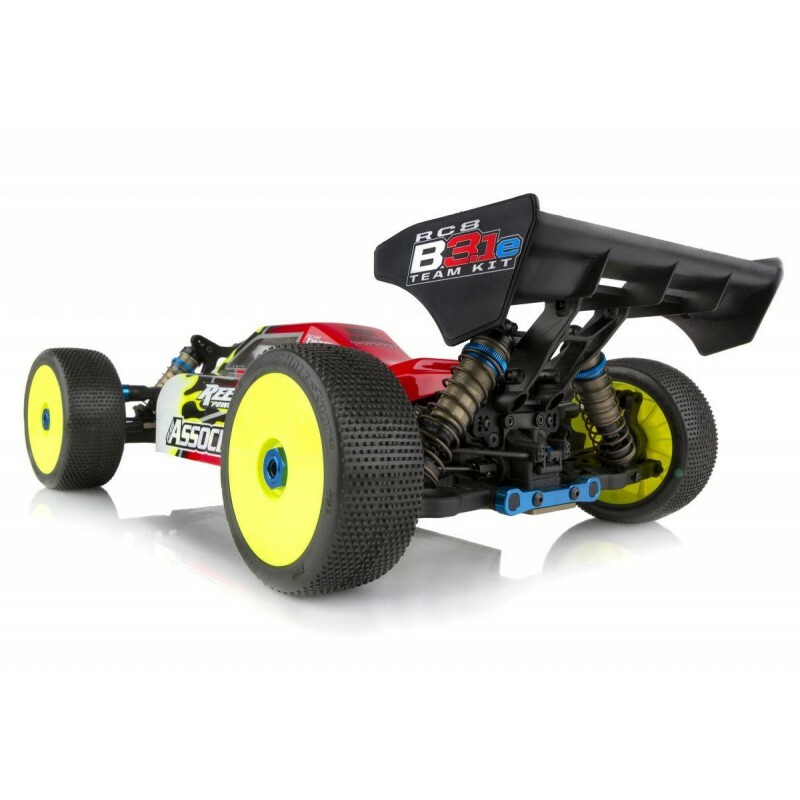 - 16mm Big Bore 6061 aluminum shock bodies with bleeder style caps. 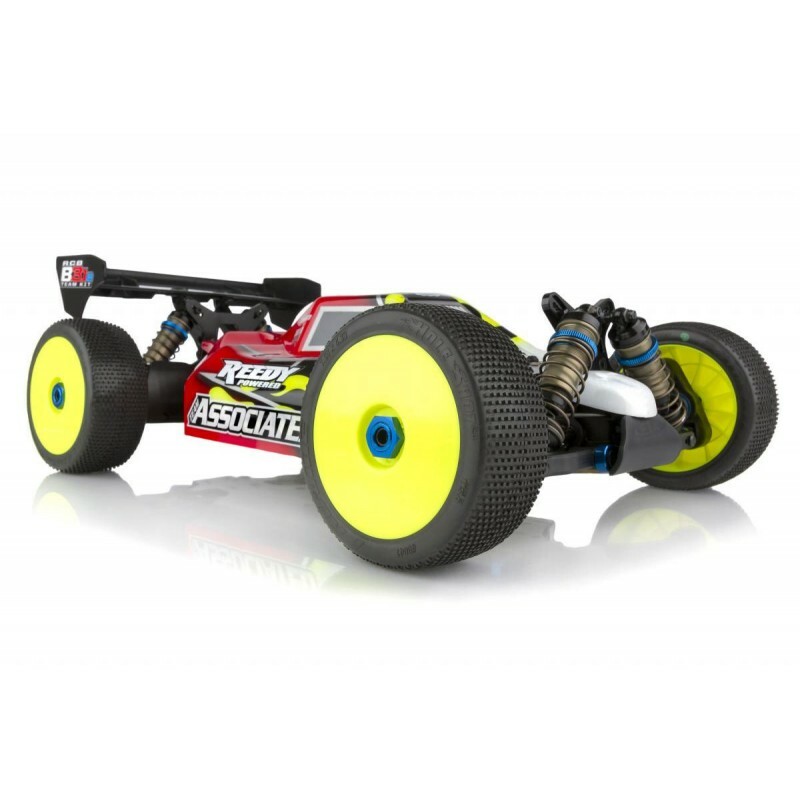 - Highly efficient drivetrain utilizes straight-cut gears to provide great acceleration and increased run time. 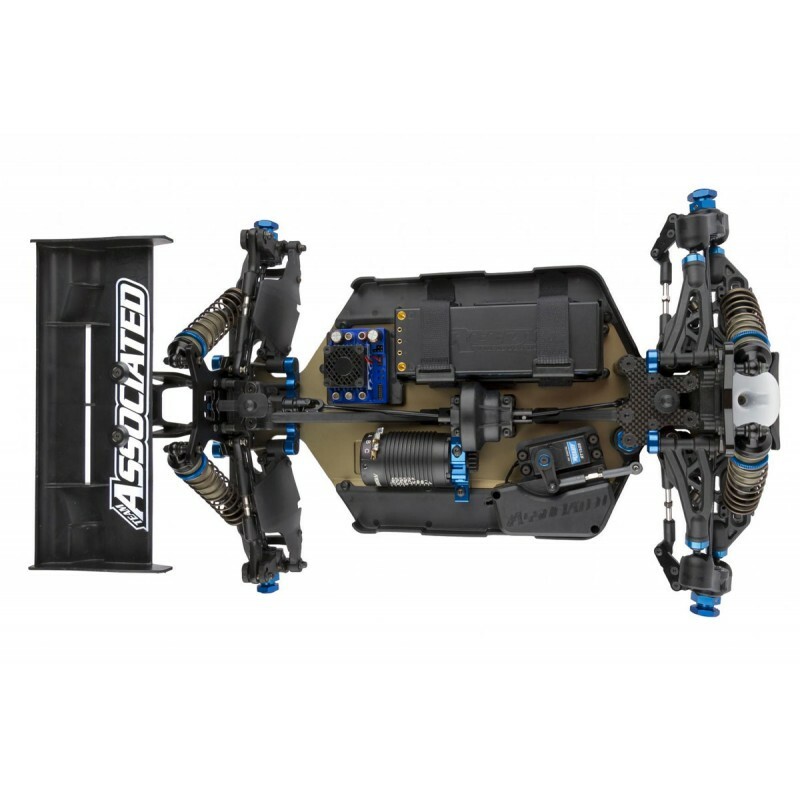 - Hard-anodized 7075 aluminum chassis with keyed lower suspension plates. 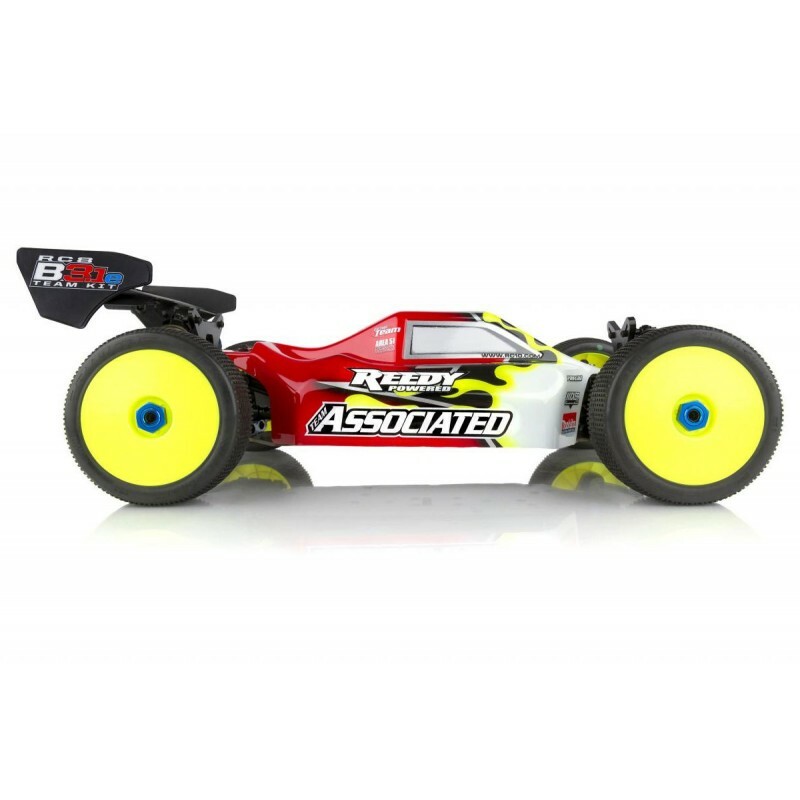 - Full Factory Team rubber-sealed ball bearings. 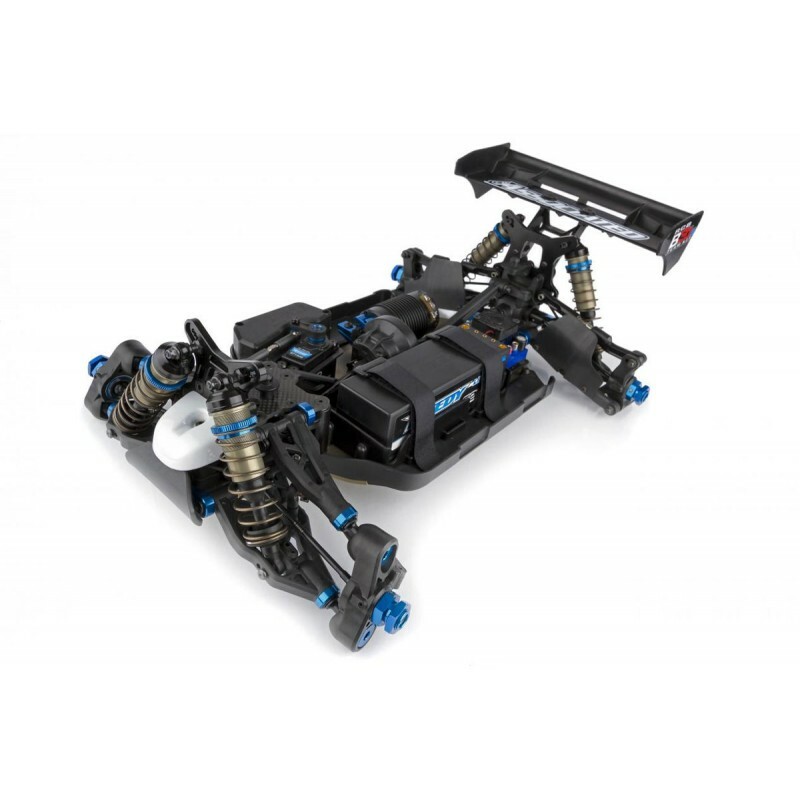 - Easily accessible front and rear differentials. 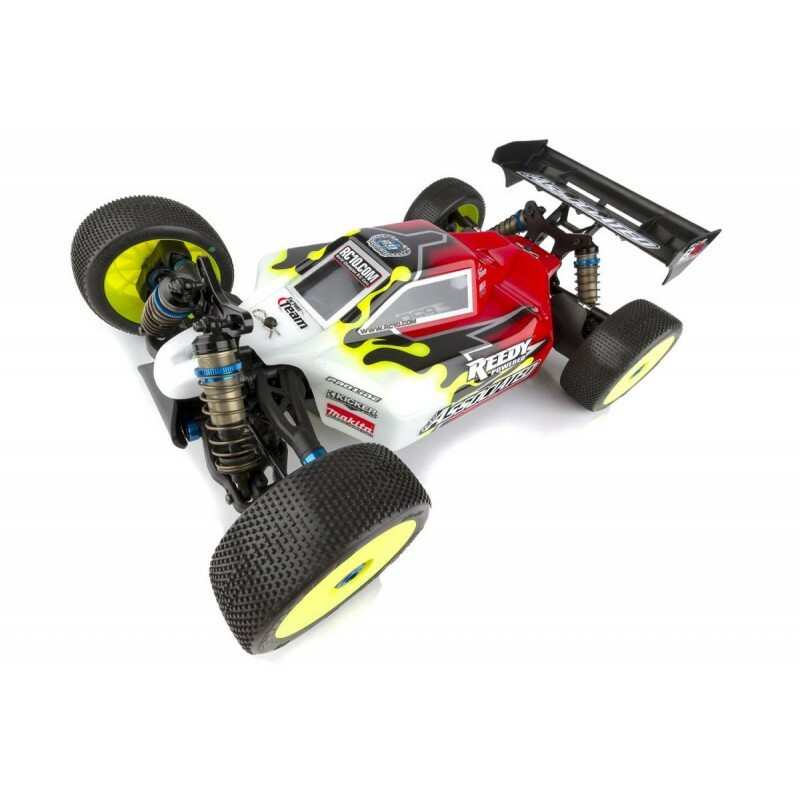 - Pro-Line(R) "Predator" body included. 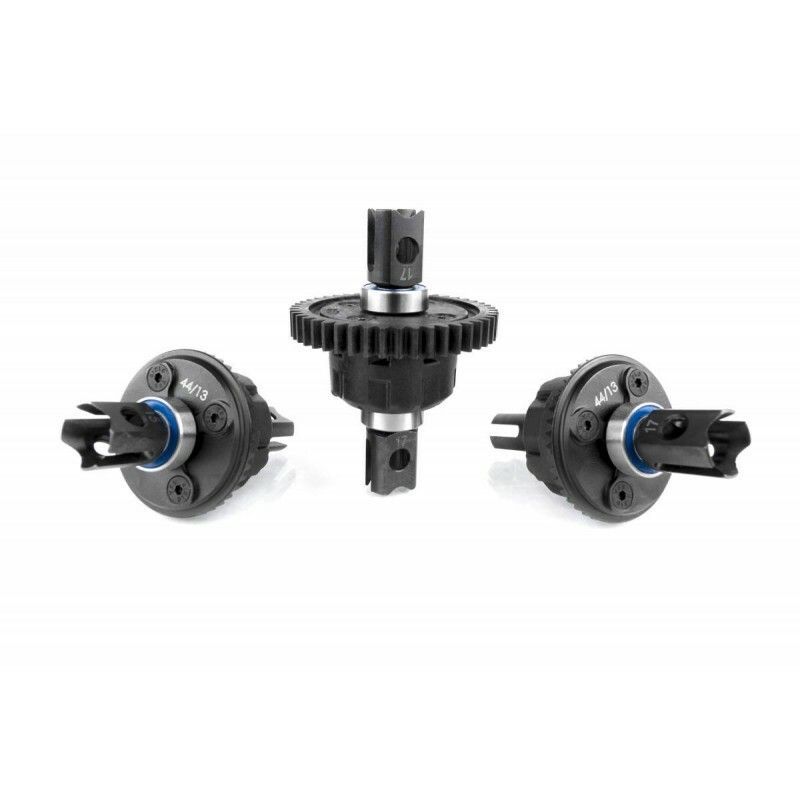 - Two-piece sliding motor mount for easy gear mesh adjustment and motor removal. 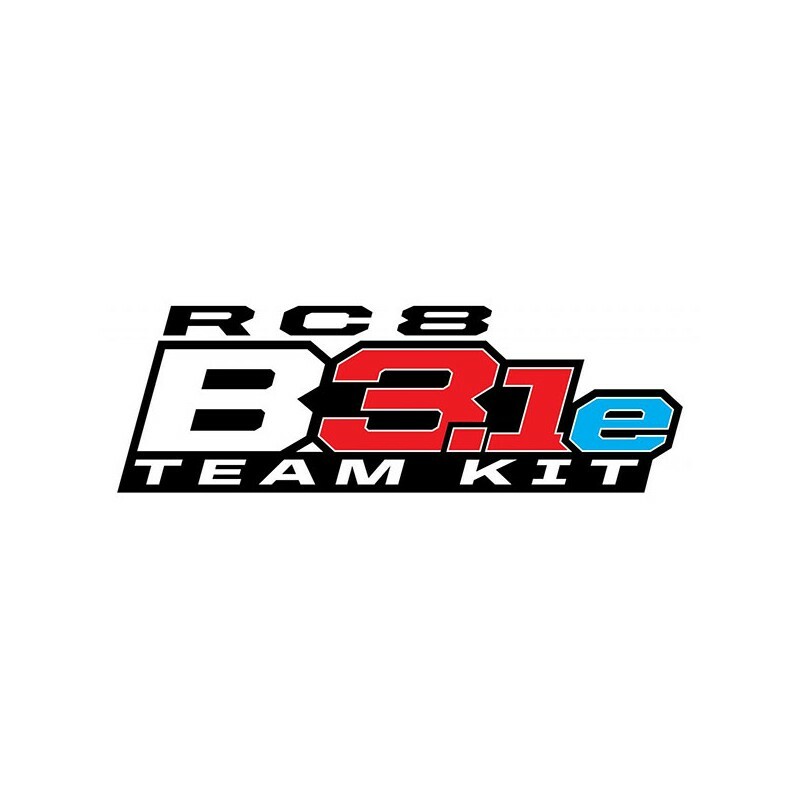 - RC8B3.1e shares 90% parts compatibility with the RC8B3.1 nitro buggy, offering the perfect solution for multi-class racers. 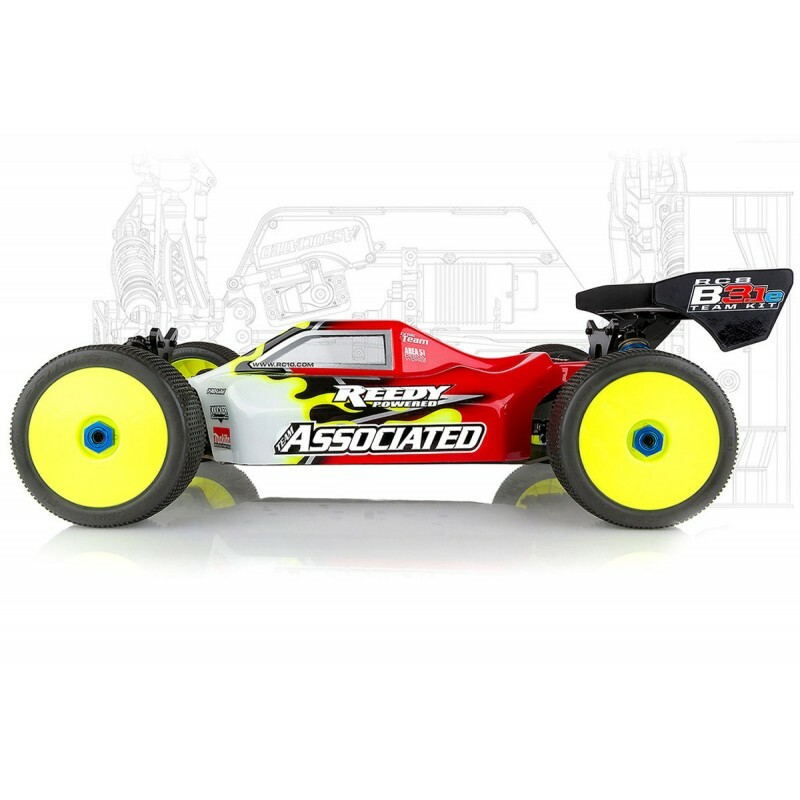 Please Note: This kit requires the following for completion: 2 channel radio/transmitter -- FM/PCM/2.4GHz recommended, Transmitter batteries, 1:8 scale speed control, motor, and pinion (see motor manufacturer's gearing recommendations for correct pinion size), High-torque steering servo, 4S LiPo battery and charger, 1:8 scale buggy wheels and tires 1:8 scale buggy tyres, 1:8 scale buggy wheels. glue, paint & Thread-locking compound.